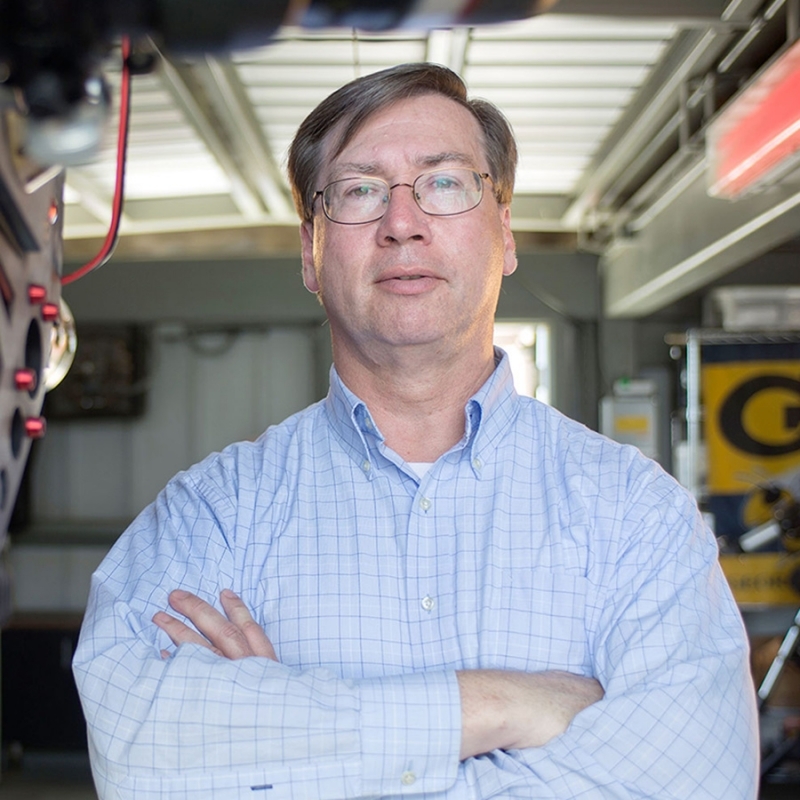 A highlight of Georgia Tech’s celebration of the International Year of the Periodic Table of the Chemical Elements (#IYPT2019GT) is a Frontiers in Science lecture series. Prominent researchers from Georgia Tech and beyond will expound on little-discussed aspects of chemical elements–from how they have incited passion, adventure, betrayal and obsession; to how they were created in the universe; to the roles they have played in global geopolitics. The creation of the elements in the universe took billions of years and required various processes. The first few minutes of the big bang produced only hydrogen (H) and helium (He). No new elements were formed until a few hundred million years later when the first generation of stars were born and they started fusing H and He into slightly higher-mass elements, such as carbon and oxygen. Various fusion reactions by multiple generations of stars eventually created elements up to iron (Fe). However, normal stars cannot produce elements beyond Fe. Creation of elements heavier than Fe required the cataclysmic explosions of supernovas. These violent deaths of massive stars not only completed the natural elements in the periodic table. They also enabled human life, because certain life processes require heavy elements. He won the inaugural CETL Undergraduate Educator Award in 2009. Why do atoms behave the way they do? Why do electrons form “shells,” as seen in the periodic table? Why does the first shell hold 2 electrons, the second 8, and the third 18: twice the square numbers 1, 4, and 9? It took many years to solve these mysteries, and a lot of detective work in chemistry, physics, and ultimately – once the relevant laws of physics were known – mathematics. Other mysteries remain unsolved, like the mass of the heaviest possible element. This talk will give a quick tour of these puzzles and some of the answers. 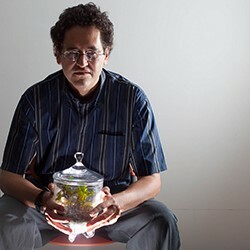 John Baez is a professor of mathematics at the University of California, Riverside, who also works at the Centre for Quantum Technologies, in Singapore. His Internet column “This Week’s Finds” dates back to 1993 and is sometimes called the world’s first blog. Baez used to work on quantum gravity and pure mathematics. In 2010, concerned about climate change and the future of the planet, he switched to working on a general theory of networks that appear in human-engineered and biological systems. 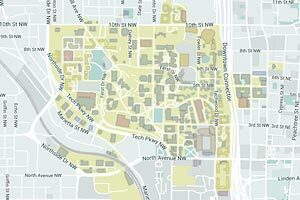 Closest visitor parking is Area 6 (Fifth Street and Spring) or Area 8 (Tech Square) on the parking map, https://pts.gatech.edu/visitors#l3. Why did Gandhi hate iodine? Why did the Japanese kill Godzilla with missiles made of cadmium? How did radium nearly ruin Marie Curie’s reputation? And why did tellurium lead to the most bizarre gold rush in history? The periodic table is one of humanity’s crowning scientific achievements, but it’s also a treasure trove of passion, adventure, betrayal, and obsession. Bestselling author Sam Kean’s book “The Disappearing Spoon” delves into every element in the periodic table and explains each one’s role in science, money, mythology, war, the arts, medicine, alchemy, and other areas of human history, from the Big Bang through the end of time. The Elusive End of the Periodic Table: Why Chase It? For more than half a century, dedicated and eager groups of scientists have contrived ways to introduce heavier and heavier elements into the universe. Their efforts finally completed the seventh row of the famous—if poorly understood—periodic table of the chemical elements. What now? Continue? Try to start another row? Why? To what end, and at what cost? This talk will explore the economic, societal, and scientific benefits and drawbacks inherent in this pursuit. Monica Halka is an experimental physicist whose research focused on the interaction of light with atoms. She has coauthored a set of six volumes on the periodic table, which examines historical, astrophysical, and practical observations about each of the chemical elements. 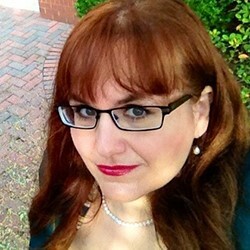 She serves as associate director of the Honors Program at Georgia Tech, where she teaches courses in optics, energy science, and the nuclear age, among others. In 1997, the Japanese oceanographer Yoshiyuki Nozaki compiled a periodic table of ocean chemistry, encapsulating the distribution of elements as a function of depth. In this periodic table, many elements share similar patterns, classified into just a few categories. The similarities indicate a common set of mechanisms behind the ocean cycling of elements. The interaction of ocean circulation, chemistry, and biology sets the distribution of elements in the ocean. For example, nonreactive elements are nearly uniformly distributed in the water column, homogenized by ocean circulation and mixing. Nutrient elements are depleted near the surface because of biological consumption and enriched in mid-depth due to decomposition of organic matter. Some trace metals – such as Fe, Zn, Ni, and Cd – follow this pattern. In contrast, some heavy metals – like Al, Mn, Co, and Pb – are subsumed into particles and removed from seawater. Building on the insights from Nozaki’s periodic table, this talk will interpret recent measurements of changing seawater chemistry, highlighting the importance of rising carbon dioxide concentration in the air, climate change, and pollution of rivers and atmosphere. 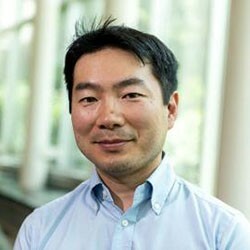 Takamitsu “Taka” Ito is an associate professor in the School of Earth and Atmospheric Sciences, where he teaches physical and chemical oceanography. He received a Ph.D. in Earth, Atmospheric, and Planetary Sciences in 2005 from Massachusetts Institute of Technology. 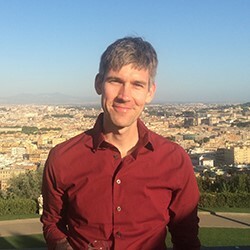 His research has focused on the cycling of carbon, oxygen, and iron in the global oceans, using observations, theory, and computational modeling. Chemical elements have played important roles in the geopolitics of modern times and will continue to do so. From Einstein’s 1939 letter to President Franklin D. Roosevelt highlighting the need to secure uranium ores, to an insurgency fought over phosphorus, to a Chinese embargo of rare-earth elements in retaliation for a maritime incident in the East China Sea, to “blood batteries” for electric vehicles dependent on cobalt mined by child laborers in the Democratic Republic of Congo, to calls for new international agreements on asteroid mining, the role of elements in geopolitics is vast and significant. What does this mean for the U.S., for the rest of the world, and for the future of technology? 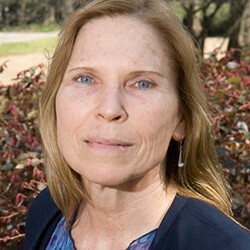 Margaret E. Kosal is an associate professor in Georgia Tech’s Sam Nunn School of International Affairs. She directs the Sam Nunn Security Program and the Program on Emerging Technology and Security. She is also a member of the Parker H. Petit Institute for Bioengineering and Bioscience. Her research explores the relationships among technology, strategy, and governance. She is the author of “Nanotechnology for Chemical and Biological Defense.” The book explores scenarios, benefits, and potential proliferation threats of nanotechnology and other emerging sciences. She is the editor of “Technology and the Intelligence Community: Challenges and Advances for the 21st Century.” The book examines the role of technology in gathering, assimilating and utilizing intelligence information through the ages. She is editor-in-chief of Politics and the Life Sciences. The journal publishes original scholarly research at the intersection of political science and the life sciences. Kosal has served as a senior advisor to the Chief of Staff of the Army and as science and technology advisor in the Office of the Secretary of Defense. 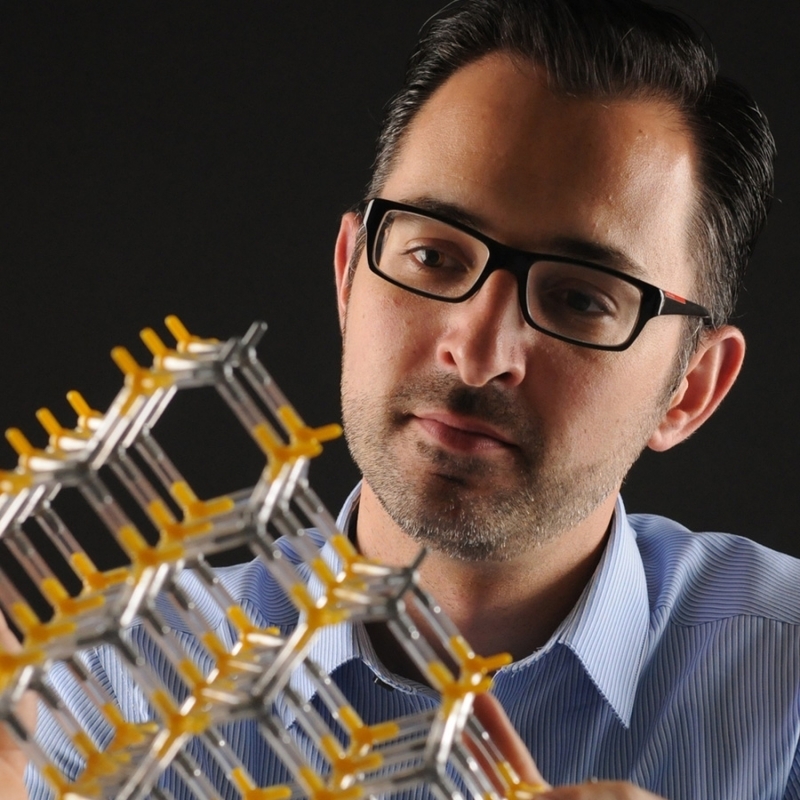 Trained as an experimental scientist, Kosal earned a Ph.D. in Chemistry from the University of Illinois, Urbana-Champaign, working on biomimetic and nanostructured functional materials. She cofounded the company ChemSensing, where she led research and development of medical, biological, and chemical sensors.